Standard Operating Procedures or SOPs are written documents that establish a standard set of step-by-step procedures or a course of actions in a work area as directed by an organization. It helps the staff members to carry out operations that are routine in their nature or are repetitive. In this article, we have assimilated professional sample standard operating procedures templates in word format for your needs. It aims to eliminate errors due to miscommunication and to improve the efficiency of the overall performance of the staff members. In many organizations, SOP is to ensure consistency in product quality and following standard safety procedures while at work to keep workplace accidents minimal. Different organizations have their different SOPs i.e. it is very specific to each organization. If employees do not follow the SOP, it becomes a document of limited value. Apart from electronic copies for easy sharing over mail or by any means of modern communication, a SOP should be available in hard copy too for quick printing and distribution purpose while training new employees. In the digital age, most companies send a SOP to their employees as a soft copy. Moreover, the quality assurance team or a supervisor must review it periodically for any possible changes due to evolving changes in the industry or organization. The world felt the need of SOP for the first time after the deadly collision of two trains that happened on July 17, 1856. This was two decades before the invention of the telephone. Experts believe that it was possible to avert the collision if there was a SOP at that time with the experienced engineers. An approximate l50 people died and 100 received injuries in the train accident. Soon, after the collision, there was an outcry over the bad state of safety measures and this gives birth to the very first SOP. Safety measures were standardized, and the railroad companies documented all possible actions that their employees should refer and follow during different circumstances. Soon other companies follow their foot- steps and having a SOP become a common affair across the world by organizations, businesses, etc. Today, even small businesses have their own SOP documented clearly. There are two types of SOP i.e. technical and administrative. While a technical SOP instructs the user or staff members about how to validate a software, do quality assurance, or testing, an administrative SOP many consists of entirely different things like defining procedures about office correspondence, review of product requirements and employment training. In many organizations, instead of using the term ‘SOP’, employees use terms like standard protocols, laboratory procedures, Department Operating Procedure i.e. DOP, Quality Operating Procedure i.e. QOP, and much more. Pick up the call within three rings. Greet in a pleasant and audible voice. Introduce yourself by telling your name followed by your hotel name. Wait for a second so that the caller can answer or respond. When the guest ask for an accommodation in your hotel, tell about the types of accommodations available and the rates. Ask the guest about the type of accommodation he or she wants to reserve. Wait for a second so that the caller can respond and then as per the response, ask the date of arrival and departure as well as his or her contact number. Check availability of the specific type of accommodation on the given dates. If there is availability, inform the guest about the same and tell about the amenities for that type of accommodation offered by your hotel. If there is no availability for the given dates, ask the guest if he or she would like to have another type of accommodation as there is no availability for that type of accommodations or rooms. If the guest response is in ‘yes’, check the availability of any accommodation for the given dates and if found inform about the same to the guest. Ask the guest, if he or she will like to avail an airport pick or drop service. Ask the guest regarding the mode by which he or she will make the payment i.e. cash, credit card, etc. Request him or her to pay the advance amount for reservation. If the guest has made the payment of the advanced amount, inform him or her about the reservation being made successfully and give the confirmation number. Conclude the conversation by saying, “Thank you for calling your hotel name, have a nice day”. Similarly, in the healthcare industry, even for the first aid of electrical burns, SOP steps goes like the following manner. There is no specific rule to write a SOP as every organization has different things to write. It is mostly organization specific so you need to write it regarding the processes or roles and responsibilities of the employees of your organization. So, if break into some definite steps, the process of writing a SOP will include the following steps. XIV. Seek approval from the concerned authority to get the SOP approved or get it reviewed first from the Quality assurance team. Use the full form of an abbreviation of a technical term when the term is use for the first time within a SOP. For example, use the term User Interface for the first time while writing a SOP on website design, and then refer the term as simply UI. Refrain from using words that can be difficult to understood by all employees referring the SOP in the near future like instead of writing ‘finalize’, write ‘end’ or instead of writing ‘utilize’, write ‘use’. You can also do one thing i.e. 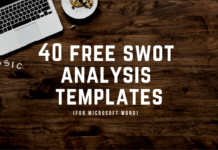 go through the large collection of our SOP templates that will definitely help you in writing your own one with a little practice. We have a vast collection for almost every industry type so that you can have a good idea about the SOP writing tactics. You can also select the one that seems most appropriate to you to meet your objectives and download the same with a simple click. Please, spare a few minutes to share your thoughts about our efforts to minimize your time in writing a SOP in the comment section below. http://www.wikihow.com/Write-a-Standard-Operating-Procedure – Learn about how to write a SOP effectively. http://smallbusiness.chron.com/write-standard-operations-procedures-manual-2596.html – SOP guide for small businesses. https://www.bizmanualz.com/save-time-writing-procedures/what-are-policies-and-procedures-sop.html – How you can save time using SOPs. http://virtualproductivitysolutions.co.za/2012/10/10/5-tips-for-writing-standard-operating-procedures/ – Miscellenious tips for writing SOPs. https://www.des.umd.edu/ls/sop/ – Another SOP guide. http://www.digicast.com.au/blog/bid/88627/5-Mistakes-Companies-make-with-their-Standard-Operating-Procedures – Tips to avoid common mistakes while creating SOPs.